Want to look great this summer? 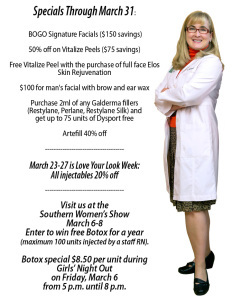 Take advantage of our March Specials! We’d love for you to stop by our booth at the Southern Women’s Show on March 6-8 too! Call the Savannah office at (888)-920-2090 or (912) 920-2090 to schedule your appointment today!